Will Social Media Replace Face-to-Face Communication? I recently came across an interesting video named ‘How Social Media is rewiring Our Brains’ posted on The Business Insider’s Science YouTube channel. The video discusses the impact that social media has on the way our brains function when creating social connections and relationships with others. Dr. Dan Siegel, a clinical professor of psychiatry at the UCLA School of Medicine speaks about how social media is actually physically rewiring our brains. After watching the video in its entirety, I started to wonder how social media has changed the way we engage with others in a teaching and learning environment. If social media can condition the mind in a behaviouristic manner, how does this impact a students learning in an online environment? Has social media replaced face-to-face relationships or has it enhanced our human connections? With my sites set on developing online programs and curriculum, this topic has sparked some interesting questions and observations about how online communication may effect the learning environment. If social media and other asynchronous methods of communication are not giving people more face-to-face time with others, will the new generation of learners possess a more surfaced level of experiencing the world around them? In my recent experience in an online learning environment I found that there are human factors that are lost in online communication. The premise that social media and asynchronous methods of communicating lack human factors such as eye contact, facial expression, tone of voice, posture, gesture, timing and intensity that humans need to communicate effectively, is something that I would like explore and research. If we rely solely on linear ways of communication, such as text, email and social media, will the effects of this communication cause our students to think and receive information in a linear way as well? Will this form of communication impact the way we build relationships with others and will social media replace face-to-face communication? If social media and other asynchronous methods of communication are not giving people more face-to-face time with others, will the new generation of learners possess a more surfaced level of experiencing the world around them? If this is true, I wonder what role social media will play in teaching and learning in an online environment? How will students interact, communicate and interpret information if there is no human factor involved? What are your thoughts? 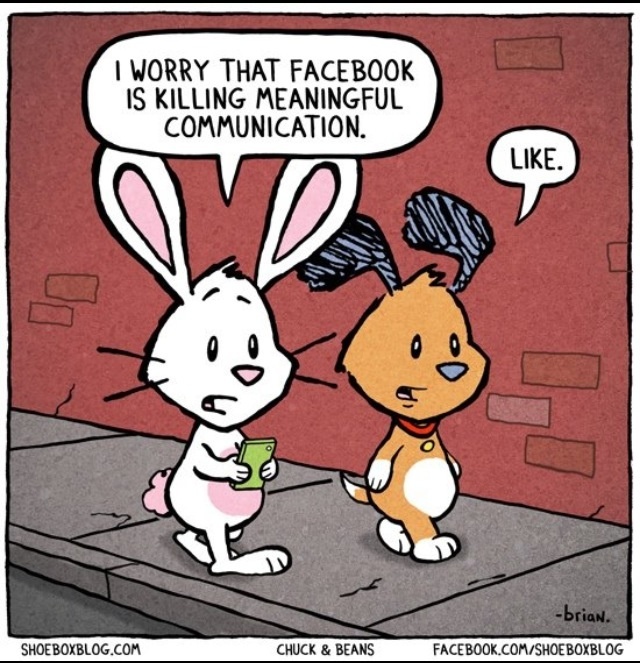 Do you think social media has replaced face-to-face communication? How do you think social media will impact teaching and learning in an online environment? Feel free to leave a comment below.